FREE Learn to Row events for adults! Rowing offers fun and total fitness! 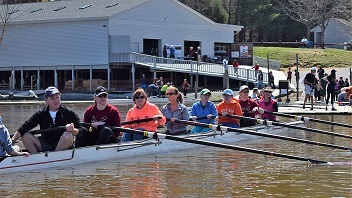 Come learn what Prince William Rowing Club has to offer for masters/adult rowers (ages 18-90+). You will also learn rowing terms, the basic rowing stroke, get a tour of the boathouse, and have a chance to row in one of our boats! This is an open-house style event, no need to register. Come join us on April 8, April 22, or May 6, 1:00-3:00 p. m.